Finest Aluminum Beads and available in different colours & Shapes. our clients can avail from us, an exclusive range of aluminum beads & pendants, which is extensively catering to the demands of our fashion conscious clients. We design and develop our range using finest quality raw material and advanced technology machines. Available in varied designs and sizes, our range is offered to the clients as per their requirements. Owing to our rich industrial involvement, we are presenting Aluminum Beads to the patrons. These aluminum beads offered by us are processed using high-grade stones and other material, which is sourced by trusted sellers. We offer these aluminum beads in customized designs, shapes and sizes as per the requirement of the clients. We are well known for manufacturing and exporting fine quality Round Aluminum Beads. Our designers lay huge emphasis on the design patterns and manufacture those following industrial standards. 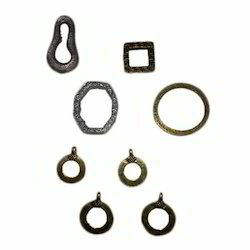 They round shaped beads have detailed designs and are best for using in trendy jewelery. 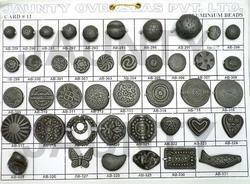 - Check latest design for aluminium beads. We offer very good quality Aluminum/Brass Beads to our customer.